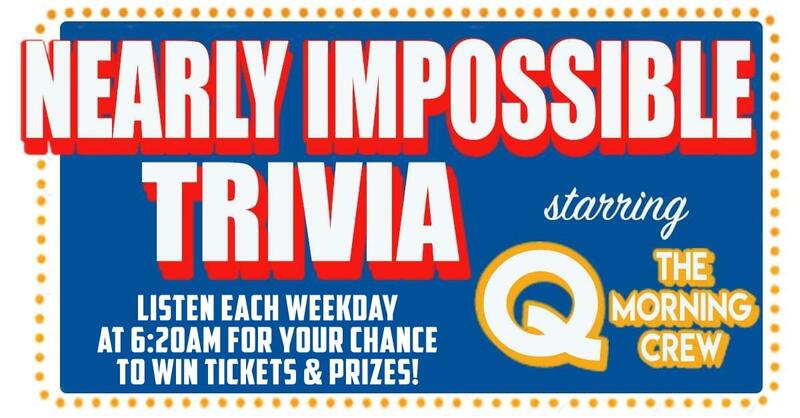 Listen each weekday morning at 6:20am with the Q Morning Crew for the Nearly Impossible Trivia question of the day. Call in with the correct answer for your chance to win a prize! Want a second chance to win? Listen each afternoon at 5:30pm with Mad Dawg for the NIT Replay! Q: Every four seconds, someone opens a can of this. What is it?